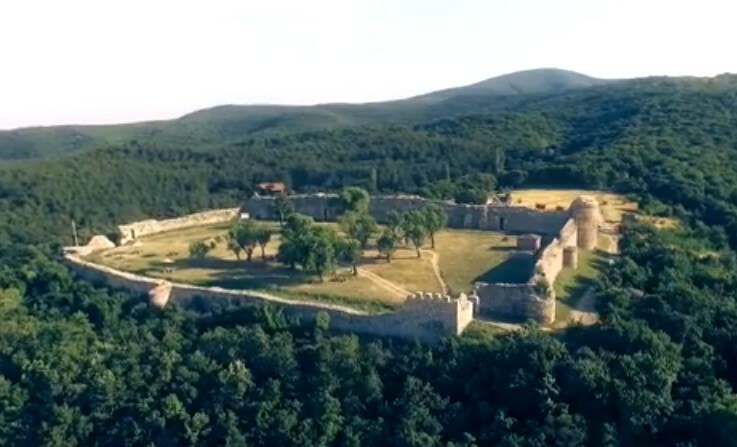 An impressive aerial drone video of the medieval Byzantine and Bulgarian fortress Mezek has been released by the “View Bulgaria" project (otnebeto.com), a private initiative using drones to film Bulgarian cultural, archaeological, and historical monuments. The author of the video is Svetlin Marinov from “View Bulgaria" who shot it as part of last week’s geocaching event (a recreational outdoor game in which the participants use GPS coordinates to find “geocaches”) in Bulgaria’s Mezek, a small town located near the meeting point of the borders of Bulgaria, Greece, and Turkey. The Mezek Fortress was built at the end of the 11th century or the beginning of the 12th century, possibly during the reign of Byzantine Emperor Alexius I Comnenus (Alexios I Komnenos), after the First Bulgarian Empire (632/680-1018 AD) had been conquered by Byzantium. 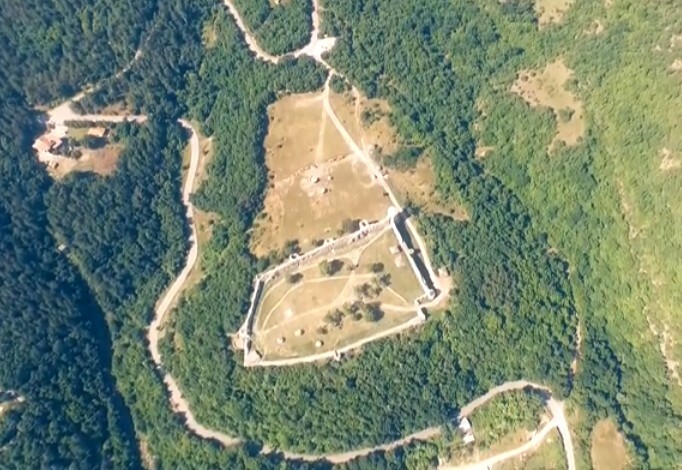 The Mezek Fortress played an important role in Balkan history during the 13th-14th century, the height of the Second Bulgarian Empire (1185-1396 AD). It has nine towers, and is presently one of the best preserved medieval fortresses in Bulgaria. In addition to the Mezek Fortress, the town of Mezek is known for two Ancient Thracian tombs from the 4th century BC – the Mezek Tomb and the Sheynovets Tomb. You can find more information about the Mezek Fortress, the Mezek Tomb, and the Sheynovets Tomb in the Background Infonotes below. View here the aerial drone video of the Mezek Fortress on YouTube. The medieval Byzantine and Bulgarian fortress of Mezek (Neoutzikon) is located near the town of Mezek, Svilengrad Municipality, Haskovo District, in Southern Bulgaria. It lies at the foot of the Eastern Rhodope Mountains, not far from the meeting point of the borders of Bulgaria, Greece, and Turkey. In addition to the fortress, Mezek is also famous for the two other historical and archaeological monuments – two Ancient Thracian tombs: the Mezek Tomb and the Sheynovets Tomb. The Mezek Fortress was built at the end of the 11th century or the beginning of the 12th century, possibly during the reign of Byzantine Emperor Alexius I Comnenus (Alexios I Komnenos), after the First Bulgarian Empire (632/680-1018 AD) had been conquered by Byzantium. It is among the best preserved medieval fortresses in Bulgaria, and has an area of 6.5 decares (app. 1.6 acres). It is shaped like a rectangle with sides 110×60 meters, and has 9 towers up to 10 meters in height, 5 of which are on its southern wall. The fortress wall is between 1.5 and 2.5 meters wide. The Mezek Fortress was a frontier stronghold guarding the territory between the Maritsa River and the Arda River. The Mezek Fortress was in use until the end of the 14th century AD when the Ottoman Turks conquered the Balkans. The Mezek (Neoutzikon) Fortress was mentioned by Byzantine chronicler Niketas (Nicetas) Choniates (ca. 1155-1215 AD) as the place where Byzantine Emperor Isaac II Angelus (Angelos) managed to suppress the revolt of his cousin Constantine Angelus Ducas (Constantine Angelos Doukas) in 1193 AD. The young Constantine Angelus Ducas (Constantine Angelos Doukas) had been appointed governor of Philipopolis (today’s Bulgarian city of Plovdiv) in 1192 AD, and managed to repulse the forces of Bulgarian Tsars Asen I (r. 1187-1196) and Petar IV (r. 1186-1197), after which he declared himself Emperor of Byzantium, and set off on march to Constantinople to depose Isaac II. However, at Mezek (Neoutzikon) he was betrayed and taken captive by his own supporters. The merlons of the Mezek Fortress had been well preserved until 1900 when stones from the fortress were used by the Ottoman army for the construction of barracks in the nearby town of Svilengrad. During the Cold War period, the Mezek Fortress was located inside the border area of the People’s Republic of Bulgaria, i.e. on the border between the Warsaw Pact and NATO, and access to it was restricted. The Mezek Fortress was first excavated in the 1930s by Bulgarian archaeologist Alexander Rashenov. It was later excavated further and partly restored between 1963 and 1973 by archaeologists from the Haskovo Regional Museum of History. More in-depth excavations were carried out in 1983. The archaeologists have found no artifacts to be dating earlier than the 11th century but discovered a large quantity of ceramics from the 13th-14th century AD. 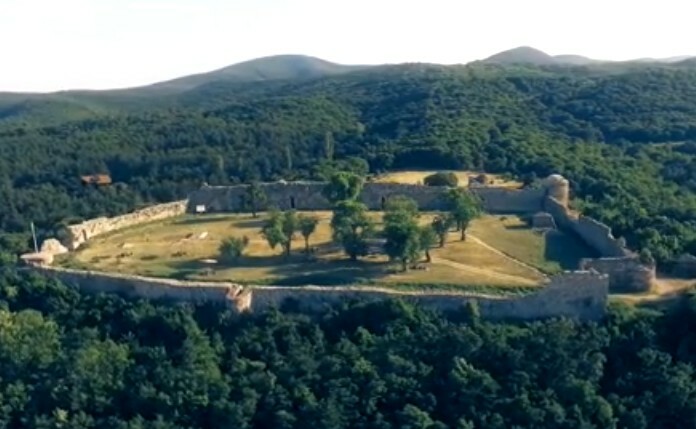 In 1927, the Bulgarian government declared the Mezek Fortress an archaeological site, and in 1968, it became a monument of culture of national importance. Between 2007 and 2013, there was a partial restoration of the Mezek Fortress with EU funding as part of a Bulgarian-Greek cooperation project. The restoration was led by archaeologist Irko Petrov from the Haskovo Regional Museum of History and consulted by Greek archaeologist Atanasios Guridis. The Mezek Thracian Tomb is located near the Mezek (Neoutzikon) Fortress in Mezek, Bulgaria. It dates to the 4th century BC. It consists of a round burial chamber shaped as a beehive and containing a stone sarcophagus, two rectangular antechambers, and a covered 20-meter passage. With a combined length of 32 meters, it is said to be the longest tomb on the Balkan Peninsula. The archaeologists have found traces of six burials of Ancient Thracian aristocrats in the Mezek Tomb whose inventory included gold, silver, bronze, iron, glass, and pottery artifacts that are now part of the collection of the National Institute and Museum of Archaeology in Sofia. Another smaller Thracian tomb badly damaged by treasure hunters is located under Mount Sheynovets, the so called Sheynovets Tomb. The Mezek Tomb was first discovered in 1908 when a local man found a life-size sculpture of a wild board weighing 177 kg. Today the find is kept at the Archaeology Museum in Istanbul, Turkey, since in 1908 the region of Mezek was still part of the Ottoman Empire. A replica of the Ancient Thracian boar sculpture is exhibited at the Haskovo Regional Museum of History. The Mezek Thracian Tomb itself was discovered by accident in 1931, and was excavated the same year by Bulgarian archaeologists Prof. Bogdan Filov and Prof. Ivan Velkov. The Mezek Tomb is one of the largest Mycenae-style Thracian tombs in Bulgaria. It is covered with a burial mound measuring 15 meters in height and 90 meters in diameter. The archaeologists believe that the Mezek Tomb was used as a heroon – a shrine dedicated to a Thracian, Greek, or Roman hero, and used for his cult worship.